I just love Sunday mornings and today I decided to eat breakfast in bed – one of my favorite things to do! 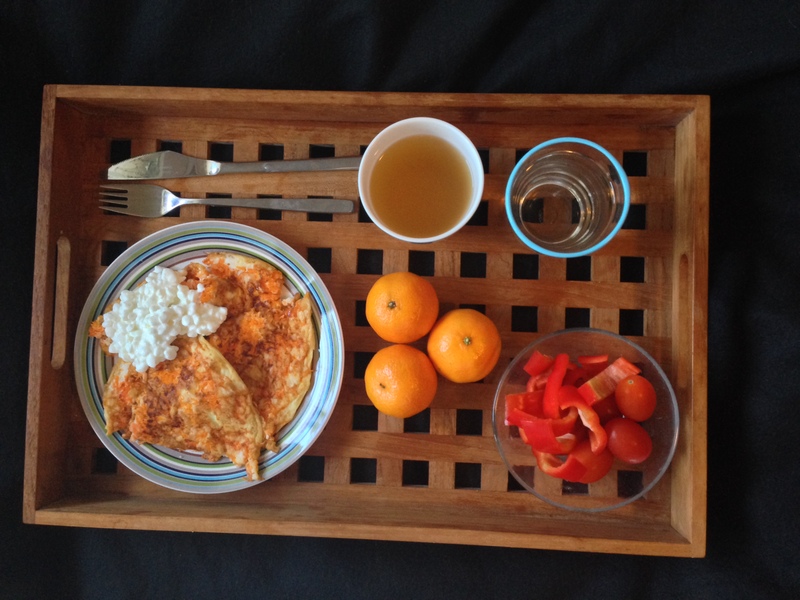 I had a carrot omelet with cottage cheese, some red pepper and three tangerines. Does anybody else combine tangerines with Christmas and winter? I surely do! Quick, healthy and delicious breakfast! Thank you very much 🙂 I dream about inspiring a lot of people actually! You are welcome – I really like you page!